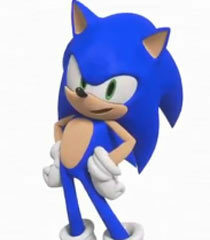 I'm Sonic. Sonic the Hedgehog. Almost as awesome as a seal speaking French. If you leave your game, stay safe. Stay alert! And whatever you do...dont die! Because if you die outside your own game...you dont regenerate. Ever! Game over.